Soaring into the second week of 2013, we spent Sunday watching dramas unfold – man-made and nature’s creations. 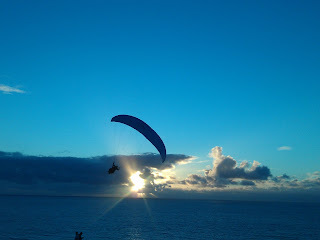 The migrating gray whales off the coast of San Diego did a dance for us while paragliders whished and whooshed across the sunset. Pelicans stretched under the rainbow and Nick and Nora sniffed about. They were welcome on the hike above Black’s Beach because it was past 4 p.m., when dogs are allowed during the parks’ winter hours. 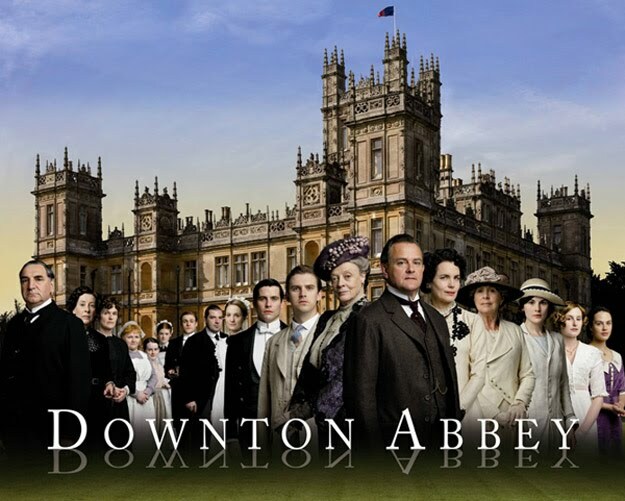 Then home to watch the season premiere of “Downton Abbey,” our favorite Public Television soap opera! Witnessing quality TV in this internet age is a fabulous experience and for Cookie, a thrill to see two of her all-time favorite grand dames share a scene. Maggie Smith, who plays the dowager countess of Grantham is serenaded by Shirley MacLaine’s charater, new to the series. She plays Lady Cora’s mother, and is the fabulously rich and tart-tongued American granny to the manor’s three rich girls. Smith is nodding off in a parlor chair while MacLaine’s character sings “Let Me Call You Sweetheart.” The two actors flirt a bit – whose scene is it? – and Cookie smiles to remember interviewing them both – Smith at the premiere of “The Prime of Miss Jean Brodie” in 1969 and MacLaine during a press preview of “Terms of Endearment” in 1983. Keller has immersed himself in the series – as a latecomer – learning the ins and outs of life upstairs and down in the Crawley Mansion and getting the skinny on more than 30 colorful characters. And meanwhile, life glides by – the pelicans with fuchsia flesh and the whales mating their way to the lagoons of Baja.